I love Korean food- loooooove it. Trouble is I haven’t found a really, really good Korean place around where I live (suggestions are more than welcome), so for a little while now I have been experimenting with my own recipes. The only rules are: there are no rule. And it has to be simple. A lot of the Korean beef recipes out there are both complicated and require a lot of ingredients that are not easily found in supermarkets or local shops. 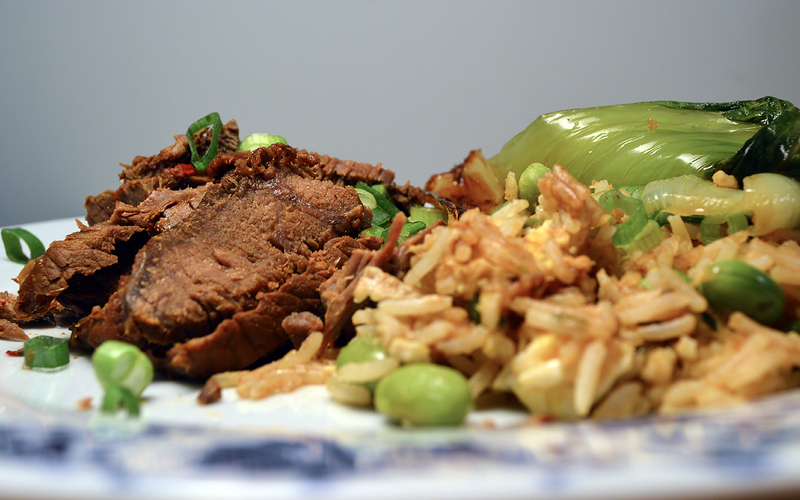 So I have put together this delicious Korean-style beef recipe for the slow-cooker. I will not pretend like it’s authentic, but I will say it is delicious, quick and practical, with all the warm, spicy flavours a good K-pop beef should have. The method is so simple I won’t even bother with bullet points (!). 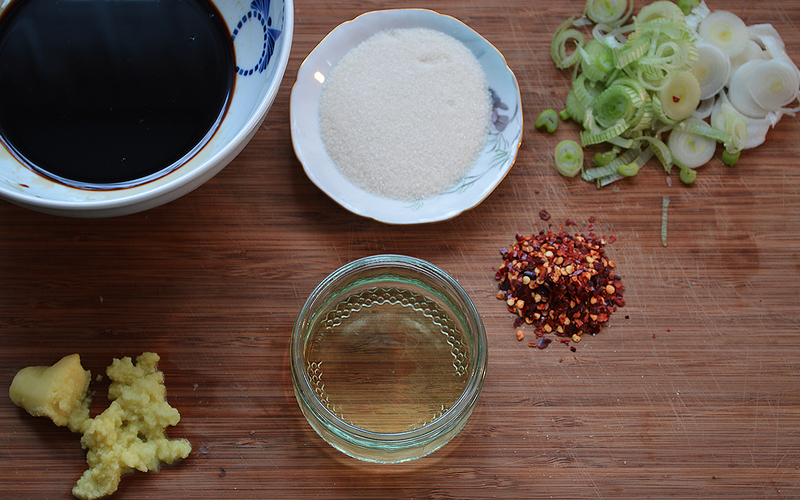 Mix all the ingredients (apart from the beef) to make a thick sauce. Marinate the beef in this sauce overnight. In the morning, stick it in the ol’ crockpot and set it on low for 8 hours. When it’s done cooking, take the beef out of the pan and slice it as thinly as you can, then put it back in with the sauce. Mix it all up and eat. I served my with edamame and egg fried rice and steamed pak choi. I thought Kimchee in Holborn was pretty good. My son lived in Seoul for a while and he thought it was pretty darn close. I could eat the spring onion pancake all day.